Social and Emotional Learning (SEL) and Positive Behavioral Interventions and Supports (PBIS) are significantly more powerful when used in combination, yielding stronger results such as improvement in mental health and reductions in disruptive and other negative behaviors. 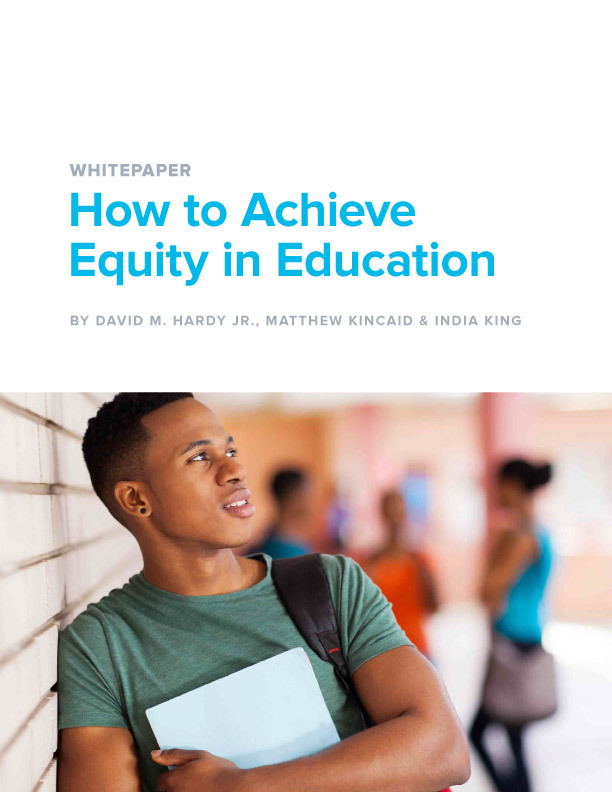 To maximize this combined impact, schools will benefit from a strong understanding of each approach and a roadmap for integration and measurement of results. Below is a list of best practices for integrating PBIS and SEL programming and measurement. The tiered continuum in PBIS defines the need for social, emotional, and behavioral instruction at multiple levels—universal, targeted and indicated. SEL programs and practices, which are designed to help develop students’ social and emotional skills, are well-suited to address this need. For example, schools can implement one of the evidence-based programs listed in the CASEL Guide to Effective SEL Programs for universal Tier 1 instruction and add an evidence-based, online and personalized SEL intervention program like Zoo U or Ripple Effects for targeted (Tier 2) and intensive (Tier 3) support. To integrate these effectively, include skills from your selected SEL programs in your PBIS schoolwide behavior expectations. For example, highlight the SEL skill of “calming down” through a PBIS expectation that students walk calmly in hallways. Another example would be connecting the SEL skills of “communication” and “collaboration” with the PBIS expectation of teamwork during classroom activities. Teacher training is critical to these integration efforts. Teachers should learn to use modeling, cueing, and specific praise to promote students’ acquisition of SEL skills and adherence to defined behavior expectations. It will also be helpful for teachers to have time to reflect on how best to integrate these activities into their teaching practice and share best practices with each other. Schools must be able to tell if their combined SEL and PBIS efforts are producing positive results. A continuous improvement cycle that includes data collection and reflection, as well as planning and taking action with adjustments to instruction and interventions enables schools to measure and calibrate SEL and PBIS integration. PBIS measurement involves daily recording and acknowledgement of student behavior based on a defined list of behavior expectations. Use an online data collection and analysis app like Kickboard to efficiently record and evaluate behavior data. SEL measurement involves assessing students’ social and emotional competency through teacher-report measures like the Devereux Student Strengths Assessment (DESSA) or direct measures like SELweb. To integrate SEL and PBIS measurement, combine these assessment approaches and conduct daily recording and acknowledgement of student behavior based on a defined list of SEL skills. 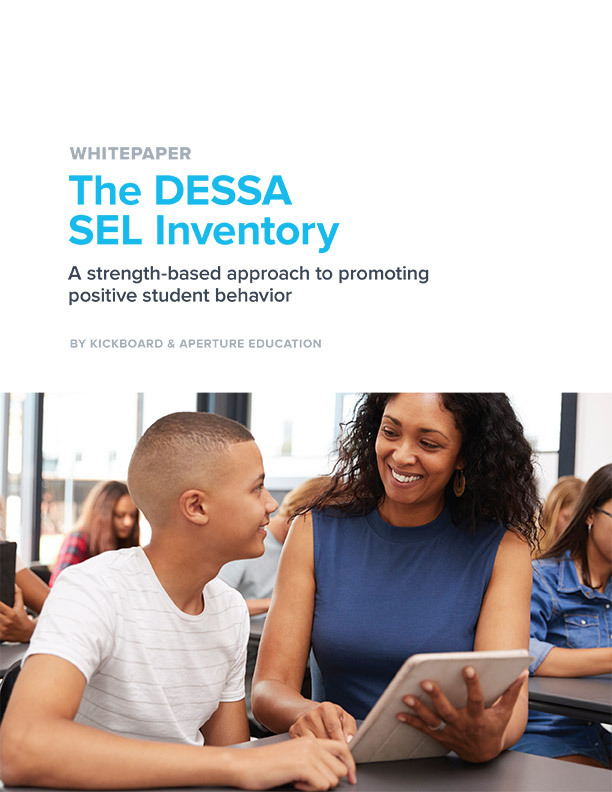 The DESSA SEL Inventory is an evidence-based list of SEL skills and behaviors to record and analyze on Kickboard. The power of data lies in analysis, reflection, and utilization. Study data on multiple dimensions to answer questions that are important to students’ needs and schoolwide culture. Consider who the data references, what SEL competencies are explored, when the data was collected, and who recorded the data. Professional learning communities (PLCs) are a great approach to creating time and expertise for data reflection. Allocate time for PLCs during staff, grade-level, or department meetings. Some combined SEL and PBIS reflections include: monitoring progress toward PBIS schoolwide behavior expectation goals; assessing student SEL competency; identifying student social, emotional and behavioral strengths and needs to inform instruction and intervention; and evaluating effectiveness of SEL programming. Planning is an important step in any continuous improvement cycle but often gets short shrift. Teachers can plan for data-informed adjustments to SEL instruction by tailoring program implementation or adjusting SEL practices. Teachers and counselors can collaborate on plans for data-informed SEL interventions for students in need of targeted or indicated instruction. PBIS teams can plan additions or changes to definitions of schoolwide behavior expectations. 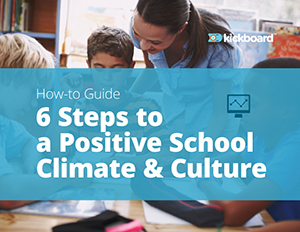 Administrators can plan for changes in SEL or PBIS programming, measurement, and budgeting or changes in communications and engagement with families around SEL and PBIS. Depending on the speed and frequency of the measurement cycle, planning could occur annually, once per semester, or as frequently as monthly or weekly for smaller adjustments. Every school can establish a planning process that suits its students, staff and culture. Finally, with data and analysis in hand and a plan of action ready, implement data-informed universal SEL instruction, targeted SEL interventions and schoolwide PBIS systems. Sometimes adjustments are small, for example re-teaching an SEL lesson or using curriculum extensions for a skill that many students struggle with. In other cases, schools may be starting new SEL interventions for a targeted cohort of students or redefining triggers for grouping students into PBIS tiers of support. The good news is that outcomes will be measurable as schools continue with data collection for the next iteration through the cycle. The positive impacts of SEL and PBIS are most significant when the approaches are combined and well integrated. Program integration includes using evidence-based SEL approaches at all three tiers of support—universal, targeted and indicated—and connecting SEL skills to PBIS behavior expectations. Implementing a continuous improvement cycle to collect, reflect, plan and act with data-informed implementation activities helps ensure that combined SEL and PBIS efforts are effective.